Yahoo! 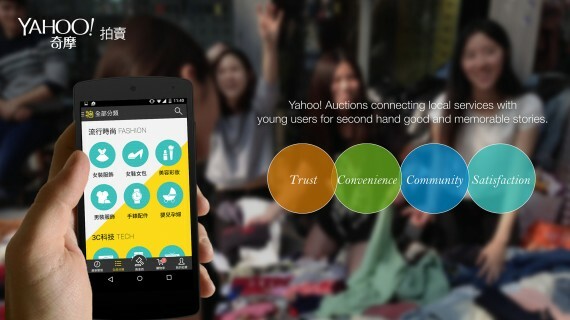 Auctions brings flea market experience to the digital world. We visited some of the local flea markets in taipei and realized that the people came to the flea market not only just want to sell their stuffs, but also want to express themselves by their items. They are excited to meet the people that loves their second hand items and become friends even share other items in the future. So we designed all the interactions are focusing on how to connecting people with same interests. Yahoo! Auctions App launched 5 months and we really see how the app connecting the users by posting, chatting and personalized discovery stream from our data. Especially, second hand goods be posted from app much more than desktop. We believes this services is mobility and easy to connect right person to good items especially when apps launched.